Rated 4 out of 5 by haiqal01 from Hardest Matches ! This game created by Aliasworlds , Kingdom Chronicles and My Farm Life . I've been waiting this for 2 years for it to release on PC but it does not worth though. 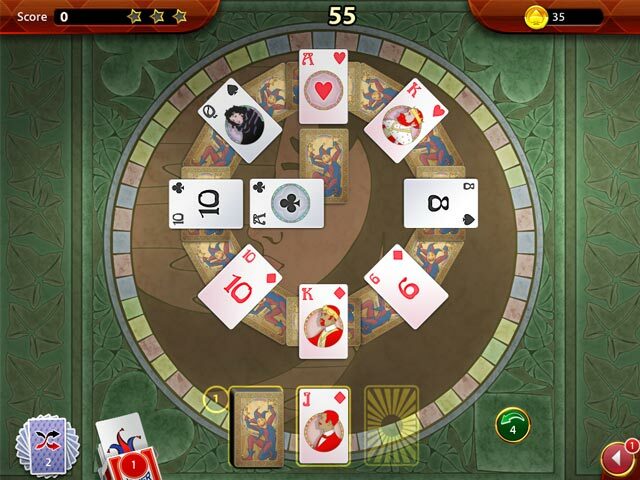 The game is all about matching , match by values of the same cards like King and King for example. In order to get stars and complete the tasks given you need to do special matches like find same color match and same value match like club aces + club aces to get a better score. Its hard to find matches as my deck is always dont have match and have to restart again and again.This is a hardest game as everything need to purchase , the power ups. To get money is hard too! This game is actually a F2P game on android and iOS so that's why it use lots of money. The graphic are absolutely clear,crisp, and colorful . While the music is so Jazzy and like the sound. There are no story or whatever to add up, but that guy , I knew him from My Farm Life series and also see other familiar faces in the game like John Brave from Kingdom Chronicles. 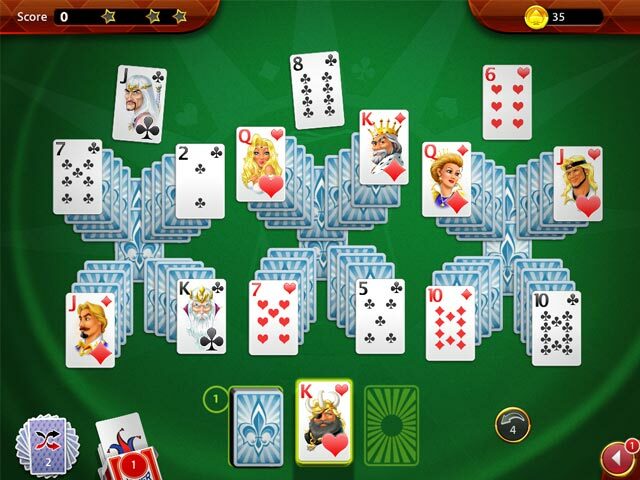 The solitaire layout was creative and design based on theme. Lastly , this game is a real pain for me and thank god it's a Demo, but if you like something new and overly challenge this is for you. Have fun and a safe weekend / weekday. And look out for this game on android too there is tournament but it is double challenge as it have hearts. Rated 2 out of 5 by gnadenlos_GER from Elevator music and poor gameplay The graphics are really good, but the music is like some cheap elevator music. There is also a bug with recognizing clicks. Sometimes you select two cards, both get the "glow" effect, but you have to click the first card again for the game to recognize the match. The biggest problem is the gameplay. It's the most boring solitaire variant (match cards with same value) and to get 3 stars you have to skip valid matches and try to get as many same color matches (only black, only red) in a row as possible. So you draw new cards all the time and match only the current color (black or red) until you have enough points. Then you can switch to normal play and hopefully finish the table. The only challenge and therefor the whole gameplay is to decide when to switch from same color matches to regular play. If you succeed you get three stars easily, if you fail you have to replay the round. Rated 2 out of 5 by mkastor from Very Hard to advance This game was made too difficult! Rated 2 out of 5 by b2u4 from Match #s All you do is match the numbers on the cards = 2 Fives or 2 sevens, etc. You win rewards, etc. and you go from one set to another but I was totally bored. 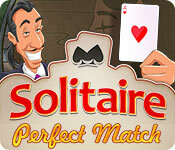 And not what I would call a solitaire game. Rated 2 out of 5 by jmparke25 from Ridiculously Difficult At first I liked this game so I bought it. Then two hours later I was sorry I did. The game is just too hard to be much fun. Sometimes I had to play the same level 5 or 6 times just to pass with one star. Then I got to level 18 and was informed that it was locked, and I needed three more stars to continue. That was the last straw for me. I turned the game off in disgust and won't be playing it any more. Rated 2 out of 5 by reesy37 from No Buy! I liked this game a few minutes. However; I soon learned that they make it very difficult to obtain 3 stars on even the early levels. In addition, there are some pretty high standards set to pass early levels. If I can't beat level 4 after 5 times of trying, it is not worth my time. Rated 1 out of 5 by meme2222 from I bought this game and regret I don't mind a game with challenge but this game is just too darn hard. They claim they give you 99 levels which is a lie. If you cannot pass a level the game stops at the levels that had been unlocked. You need a certain amount of stars to unlock additional levels but it is very hard to get 3 stars on most because you have to clear ALL the cards and score high enough with making perfect matches. They say that you can buy a pass but the price in coins is high and they don't give you an opportunity to earn enough coins. You will only get a few coins per star you earned but if you replay level you won't get additional coins. So you are just stuck playing over and over and over hoping to get a better score but without jokers, shuffles and undo's you will hopelessly fail. Those power ups cost coins which you can't earn anymore. One of the levels is timed and if you are not super fast count on failing the level since it only gives you 60 seconds to clear the board. This is a terrible game but could of been much better if they would just unlock all the levels or just give you coins every time you replay levels. 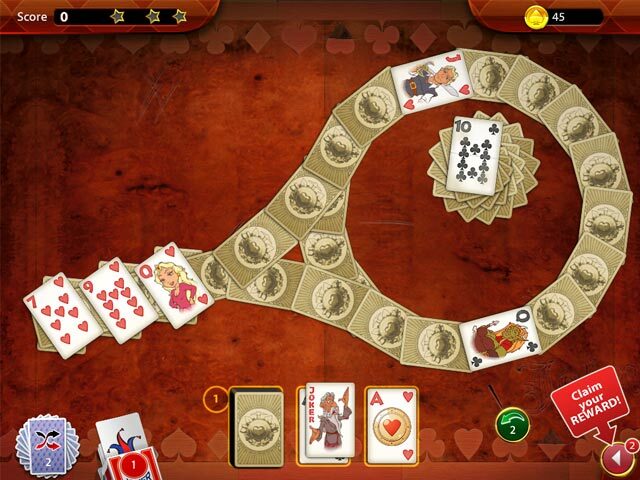 If you would like a similar game, I recommend Strike Solitaire 3. I will put it in my current favorite. Don't buy this game or you will regret it like I did. Rated 1 out of 5 by BigFishComments from Hate! This game is WAY too difficult. It's almost like a pay as you play game where you can not progress unless you use power ups and they cost coins. It's too bad. The sound effects are the best part of this game. It would be fun if you didn't have to play one level 47 times to get 3 stars. Game deleted. Rated 1 out of 5 by Lou4338 from This game has problems I just purchased this game and so far three times I've had error messages and the game has shut off. Then this fourth time I got a message that said a problem had been detected and my computer had shut down to prevent damage. Don't buy this game! Rated 1 out of 5 by ttomm46 from Boring!... Come on...It's a match game and all the matches are shown..Great for kids only..Zero challenge for adults!! Rated 1 out of 5 by nontechiegrannie from NOT A Perfect Match For Me I played 45 min of the demo & was on my 2 retry of the 9th level when I threw in the towel & called it quits. I found it was just TOO, TOO boring & NOT in the least bit challenging. Graphics are cheesy at best & the music is noxious. My best advice is: Try Before You Buy. You just may like it. Rated 1 out of 5 by haznad311 from To hard to be fun This game is hard and frustrating. It's hard to find matches as the deck hardly ever has the card needed to make a match. You have to restart the game over and over again. Plus you have to buy the power ups and it's almost impossible to earn any money. Rated 1 out of 5 by Hazydazie from Boring card game Way too simplistic. Might be fun for a young child.